In a packed theatre at Madison Square Garden, thousands of Dragon Ball Z fans gathered to watch the latest trailer for Dragon Ball Super: Broly. You could feel the energy in the room as fans cheered when members of the English cast walked on stage and gave a standing ovation for Masako Nozawa, the Japanese voice actress for Goku. But all of that energy eventually gave way for the new trailer, which wasn't full of action, but instead of fascinating looks at how the history of the franchise is being rewritten. First, it's just weird seeing Freeza's first form without chest armor, right? I'm not the only one who thinks that? Anyway, it seems that the beginning of the movie is going to be a retelling of the TV special Bardock: Father of Goku. Bardock is featured prominently, same with King Vegeta and Broly's father, Paragus, and we even see Goku's mom for a bit! I forgot he had one of those. 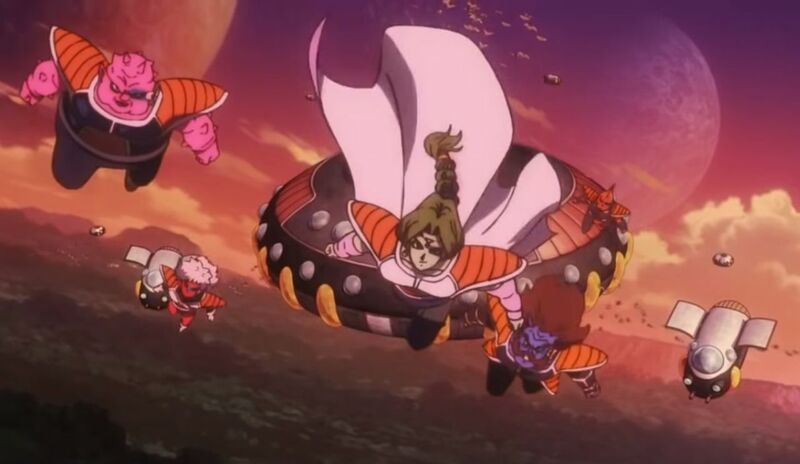 Then there are cameos from Dodoria, Zarbon, and the Ginyu Force, as we watch planet Vegeta get obliterated in glorious new animation without Bardock's heroic charge against Freeza. This is shaping up to be the Broly movie that fans have always wanted, full of character development and beautiful fight scenes. After the panel, I was able to get a chance to interview most of the North American cast members, particularly Christopher Sabat (Vegeta), Sean Schemmel (Goku), Ian Sinclair (Whis), Vic Mignogna (Broly), Jason Douglas (Beerus), and Monica Rial (Bulma) and asked them what they thought about Broly and their general thoughts about the franchise. I've played Broly for 15 years in three movies, 13 video games, and the whole time I would think 'Dang, wouldn't it be fun if they brought him into the prime universe? Wouldn't it be great if they made Broly canon?' And it never happened until now... [I think] the mystery of him, who he is, why is he so angry, what's wrong with this guy, what is his relationship to the other people [is], all of these unanswered questions means the fans want to know more about him. If you know all of the answers, you're far less interested in something than if you want to know more about him... but I think that's why the character became so popular. The mystery. Outside of the big bad himself, the rest of the cast also had their own thoughts to share about what may or may not happen in the future of Dragon Ball Super and where they envisioned the characters going. Monica Rial talked about how she'd loved to see Bulma play a much more active role in Super after the Universe Survival Arc, Christopher Sabat said that he sees Vegeta becoming more of a family man in the future and less of a fighter, and Ian Sinclair and I geeked out about what exactly the angels were and hoped that we could get an arc out of them in an upcoming season. But the general sense that I got from all of the cast was that they love what they're doing and are excited to be a part of a show that has defined the anime scene in North America, if not the world. That huge impact on popular culture isn't lost on them though, especially Ian Sinclair. To hear that [Whis] has been well responded to and to hear more people say that 'Your chaacter is accepted' is incredible! I'm a fan! It's the highlight of any day, any month, to go in and record for the show! I'm so concered that it has to be perfect cause it's Dragon Ball, man! Also, Christopher Sabat told me that it's pronounced "Fighters" and not "Fighter Z." So... there you go. Dragon Ball Super: Broly releases in theatres on January 16th, 2019.